The HMN Certification Center are fully versed in every aspect of the Michigan Medical Marijuana Program (MMMP).They offer a complete information program that assists patients to gather relevant records as well as educating them in their rights and responsibilities under the MMMP. 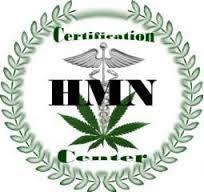 Once patients have pre-qualified at the HMN Certification Center they can get a consultation with a qualified physician that will result in a signed recommendation enabling the patient to consume cannabis legally in accordance with MMMP. The HMN Certification Center will also provide information on the safe use of medical marijuana, including non-smoking delivery methods.